On old motorcycles that have been sitting a while, stuck bolts and broken threads can be a common occurrence. As you’re taking apart the motorcycle for the first time, you make come across a bolt or screw that just won’t move. At this point, there’s still some tricks you can try to avoid drilling it out. If it does come to drilling, you’ll need a tap and die set to create some new threads. If you come across a bolt that’s stuck, seized, or stripped as you repair your motorcycle, there are a few things you can try before you have to drill it out. Penetrating oil – soak a generous amount of penetrating oil around the stuck bolt so it seeps into the threads. Sometimes that’s all it’ll take to loosen it up. Impact driver – with your impact driver and a proper bit, give the stuck bolt a few strong whacks. If it still won’t budge, try some more penetrating oil or move on to some heat. Heat – with a heat gun or torch, heat up the bolt and the area around it. The metal will expand at different rates and will often loosen the hold. If the slots on a screw head are stripped, you can try gripping it with a vice grip. Do don’t clamp too hard or you will twist the head of the screw clean off and you’ll need to drill it out. You can also try cutting in a slotted thread with a Dremel tool. If you find a hex bolt that’s rounded off, you can try putting a smaller-sized socket on with some taps of a hammer. You can also try to slot-cutting method. If you do strip threads or have to drill out a stuck bolt, you’ll need to clean up or cut new threads. A thread gauge to measure the proper thread size you’ll need. A thread file to clean up threads. 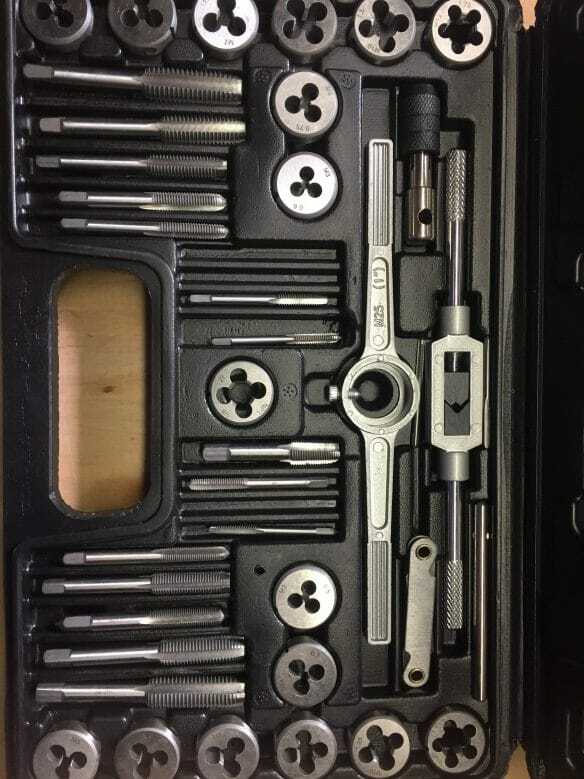 A Drill, tap and die set to re-thread holes and bolts. Be sure to use the proper sized drill when cutting for new threads. If things are bad, you may need to increase the size of the hole/threads and use a larger bolt. Go slow and stay straight and centered as you tap new threads. Be sure to remove metal shaving as you go and use cutting oil to keep the clean.